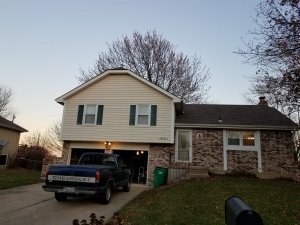 Do you want to sell your home in Raytown? If so, we want to share some possible alternatives to a listing. Many people aren’t aware of the options that are often available! Check out our latest post to learn more about what is available for you! There are alternatives to a listing that can work much more efficiently in some situations. 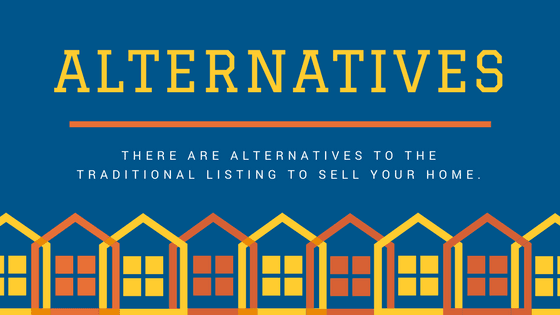 Consider some of these alternatives to listing when you are ready to sell your Raytown house! There is a lot to being a landlord. Because we offer classes to professional landlords and because we buy so many houses from people who became accidental landlords when they could not sell their home, we do not advise this option without some thought and planning. Another option on the Rental Front is to offer it as a short-term or vacation rental. Be sure to check out the rules and regulations in your city and your subdivision to make sure you can do this. Find yourself a good cleaning company to clean between tenants and then market your home on sites like Airbnb and HomeAway. If it seems like too much work, you can always hire a property management company to help you with routine maintenance and rent collection. Many people find owning a rental property is an excellent way to secure extra income. Others find it to be a nightmare. Selling your house in payments over time structure is a great way to get the property in front of many more potential buyers. It is also a way to guarantee you will get full retail value for the home, sometimes more. There are MANY investor companies out there, kcmoHomeBuyer included looking to buy houses who do not borrow from the BANK, but rather from private individuals. They can turn to our own private individuals to fund the purchase of your home or the seller can carry the payments and get the PRICE they want, over time. We have used this method to buy a few houses where the seller needed more in price than the numbers said we could pay. But when the seller acted as our Bank we were able to offer them a bit more because we didn’t have to pay money out to a third party. To get started, the buyer will pay you an agreed upon lump-sum payment up-front. Then every month make you a monthly payment until you are paid off. Sometimes this loan lasts for several years or others only the few months it takes us to get the home fixed up and resold. When you choose to sell your home directly, you will likely save many out of pocket costs you encounter when listing. You won’t need to pay a listing agent, make repairs or clean up. With a direct sale to an investor, the process typically runs much more quickly. Direct buyers are often paying in cash, so they are able to close without relying on bank funding, which means they don’t have to go through the inspection period, and then ask you the seller to fix everything to satisfy the lender, then go through the appraisal process and hope the appraisal is high enough. We have seen so many funded sales fall through because of repairs needed or the appraisal not coming in high enough, even in a hot market. There are so many people that go to a seminar and learn about “Wholesaling”, which is getting a property under contract and then selling the contract for a fee to a 3rd party. When they can’t find a 3rd party to sell to, these newbies back out of the contract. As Investor Buyers we have friends and family who fund our deals, we have about 5 people with between $80,000 and $200,000, ready to fund a deal within the a week. When we write a contract, we close, usually within a week and with private funds. Read the contract all the way through and ask questions. If they can’t explain their own contract or if they stumble a lot over their answers, think twice. If they are not closing for 30 days or more, why. If they say they are making you an all cash offer, why do they need 30 days or worse yet 60 or 90 days? Do they have a weird clause in the contract? We sometimes come across deals that we just don’t want to buy, they don’t fit our model, but we think we might have a friend who would want it. In these cases, we will offer our sellers two options (1) let us list it as a Realtor for a few weeks so we can see what we can do or (2) the weird clause. And when we use the weird clause, we will let you know and make sure you understand. Typically ours is very easy to understand, we will write in that “We are buying this house to resell it and if we cannot find an end, third-party buyer to purchase the home from us, we will not be buying the house”. We are very upfront here. Fees. Many of our competitors tell you that they pay all fees. All your closing costs, etc. As investor buyers we don’t usually do that, your fees come out of the proceeds of your sale. Because fees vary, by letting your side of the closing come out of the proceeds of your sale, we are able to offer you just a bit more in price, that the guys that pay everything. Although if you do want us to pay all fees. We can do that, just let us know. An auction is great for people who want to want to sell and have a definitive date. By selling quickly, you can potentially save thousands as opposed to listing your home. But do keep in mind that the average Auction Company has a set fee that they must be paid before they do any marketing of the Auction of your home plus the Realtor Commission. And they get paid that fee no matter what. So before you go the Auction Route, take some time to read all the fine print. Some people are confident enough that they might take the time to market their home themselves. After all there are a lot of ways to market a home online to find buyers. We have some tips here as well. Take the time to get your home ready to sell. Clean it up and clear out the clutter. Take a lot of photos of every room and back off enough so viewers can see the room, not close up shots of furniture, walls, or corners of rooms. Market the Home for Sale: That means a sign in the yard and posted on every online site you can find. Be ready to get lots of calls from Realtors wanting to list your home and Investors wanting to buy. Be prepared to show your home to every potential buyer that calls, and be ready to screen the buyers. You are looking for one that is already pre-approved by their lender or has proof of cash funds ready to go to buy your house. Have your contracts ready. You can often find a decent set of for sale buy owner forms at the local office supply store. No matter what method you choose, be sure to know your numbers. Make sure you know how much that house is costing you every month in Mortgage Interest, Homeowners Insurance, Property Taxes, Utilities, Yard Maintenance, etc. And if this is not the home you live in, but rather a previous home, a vacant rental or an inherited property, factor in the time you need to spend each week checking on the house to make sure the home is secure, no one has broken in and vandalized. If it is vacant, be sure to keep the heat on and to shut off the water and drain the lines so you don’t end up with broken plumbing, broken heating, broken sprinklers, etc.